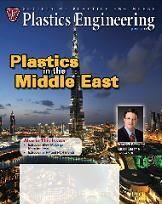 Middle East Plastics: What's going on in the Gulf? While the governments of the Middle East have been much in the political news in recent months, the region's plastics industry has also been making news, with the start-up of additional petrochemical capacity and announcements of even more to come, as well as the buildup of additive supply and polymer parks and innovation centers focused on downstream processors. The plastics industry in the Middle East can be said to have started in the 1980s with the construction of petrochemical plants designed to take advantage of readily available feedstocks that are a byproduct of the region's oil production. Is calcium carbonate still reasonable as cheap and inert filler? Consolidation ahead for PET recyclers? Pacific Plastics & Engineering acquired by Cretex Cos.